Climate change is big problem that makes many of us feel powerless but there are positive changes we can all take. Some of the changes can even make our lives more enjoyable. Recent news reports indicated that the amount of carbon dioxide in the atmosphere has reached 400 parts per million, a level higher than ever reached during humanity’s existence as a species. The last time CO2 levels were this high, sea levels were 50 to 60 feet higher than they are today and our ancestors were still up in the trees. If oceans rise 60 feet, even Portland Oregon’s airport would be under the sea even though we are a hundred miles from the coast! You can read a recent report about the climate change peril here: New York Times. We need to do more to reverse climate change but with paralysis in the US government and plenty of carbon being pumped out of smokestacks all around the world, it’s easy to get overwhelmed. Our approach here at Indow Windows is to provide our customers with comfort, quiet, and savings and help them lower their energy use as part of the deal. Did you know that there are still a billion single pane windows in the United States? That 42% of our housing stock still has single pane windows? That buildings are the largest consumers of energy in the United States and windows are the number one source of energy loss from buildings? 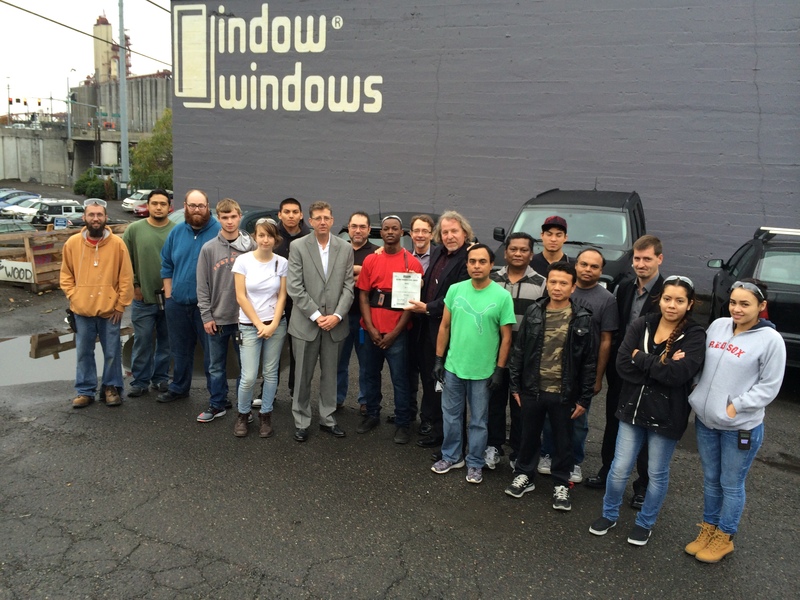 We here at Indow Windows are working hard to grow this company, and in the process contribute to our community and help stop climate change. If you would like to help us succeed, please share the news about Indow Windows with your friends, neighbors, and family.